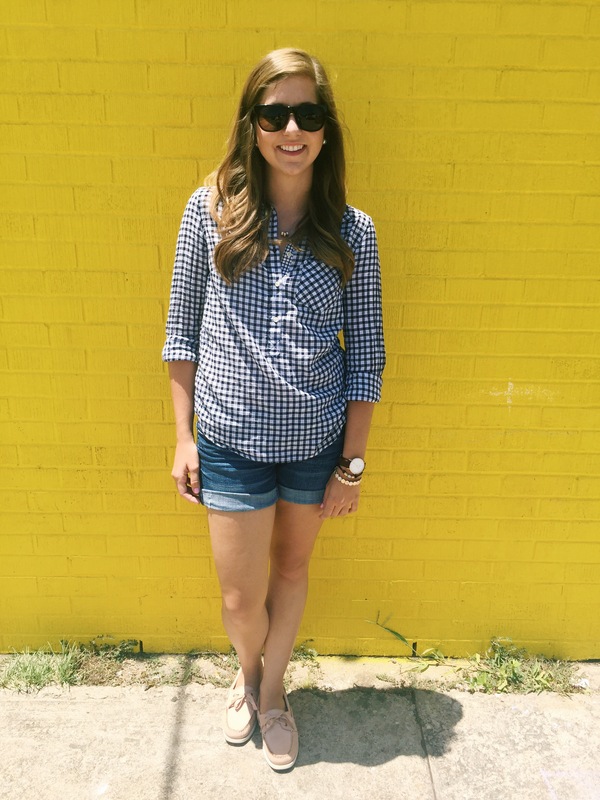 I am an accessories girl, but for some reason, I find it hard to invest in watches. I’ve had the same silver Fossil watches since I was in high school and the same gold Betsey Johnson watch since early college. Now that I’m an “adult” or an “adult in training”… as I like to say, I felt it was time to invest in an adult watch. 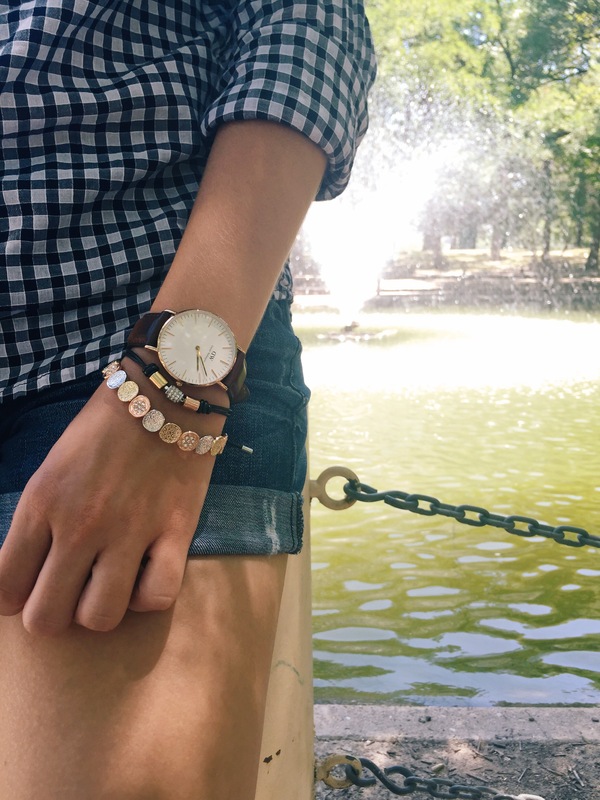 I had been eyeing the Daniel Wellington watches ever since Jared got one. A couple of weeks ago, I bit the bullet and bought one. Although pricey, I know this watch will last me for years to come. I love the simple elegant design it has while still being ultra thin. 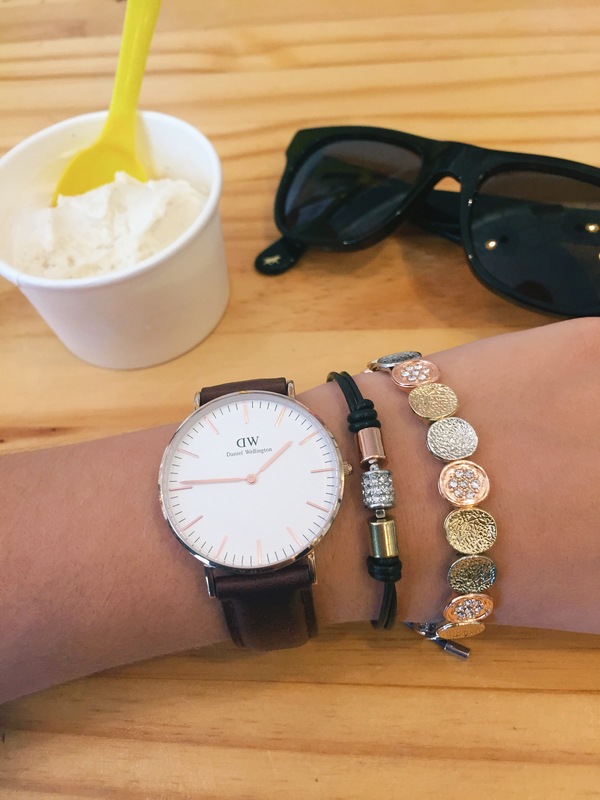 This watch can stand out when it comes to stacking with other bracelets but can just as easily stand alone. 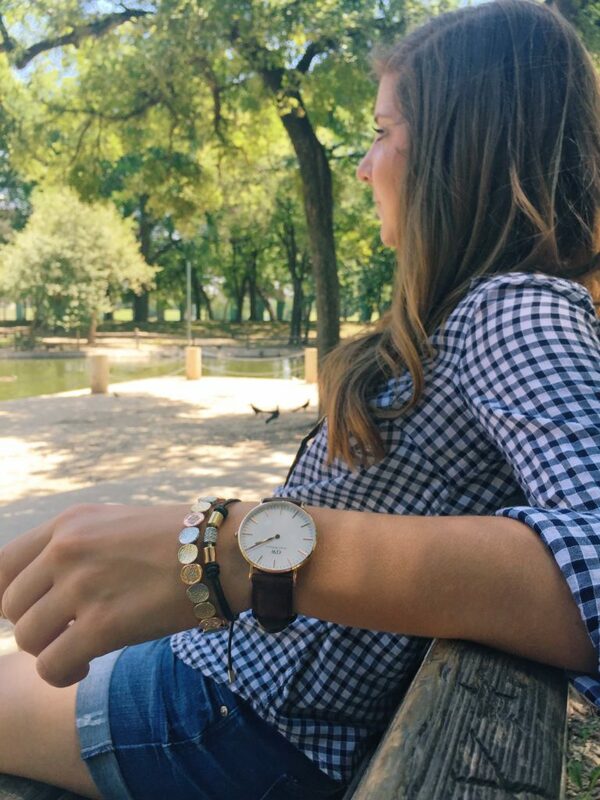 The Daniel Wellington watches are very diverse, offering several different faces, straps and sizes. 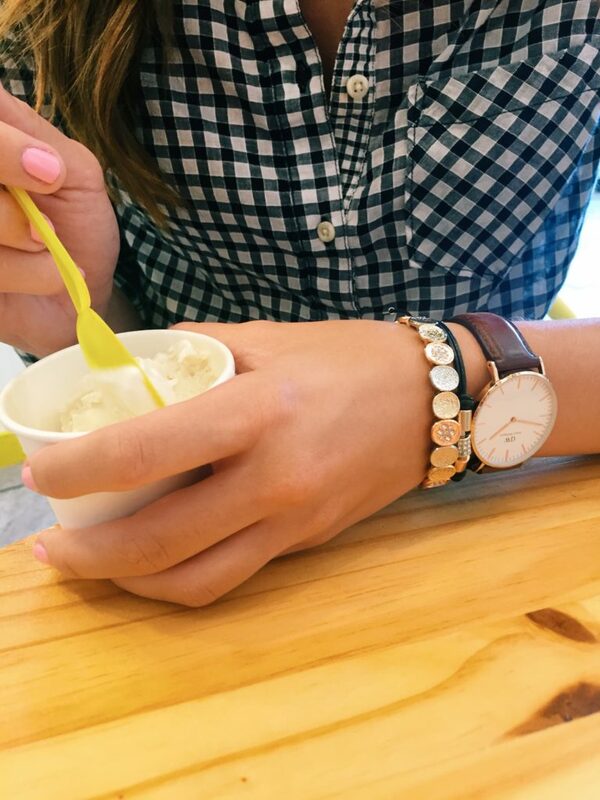 Each watch can be customized to match your personality. I chose to go with the simple brown leather strap to start, but my next purchase is going to be a NATO strap for sure. 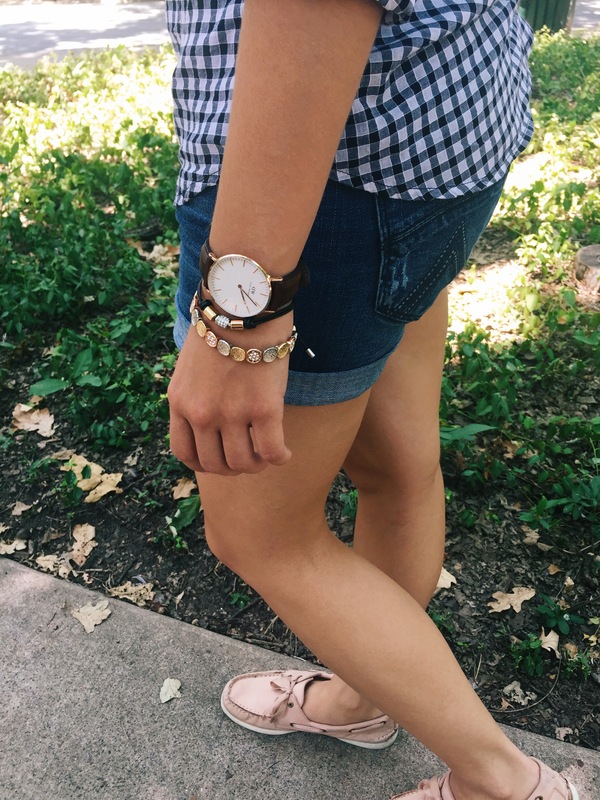 Preppy and Daniel Wellington go hand in hand so I paired my rose gold watch with a simple gingham pop-over and blush tone Sperrys.